Flower bed ideas are everywhere. They are one of the many cheap landscaping ideas you can try out if you’re on a tight budget but still want an awesome yard. After all, a beautiful garden full of attractive and colourful flowers is what we all want to brighten up our backyard or front yard. 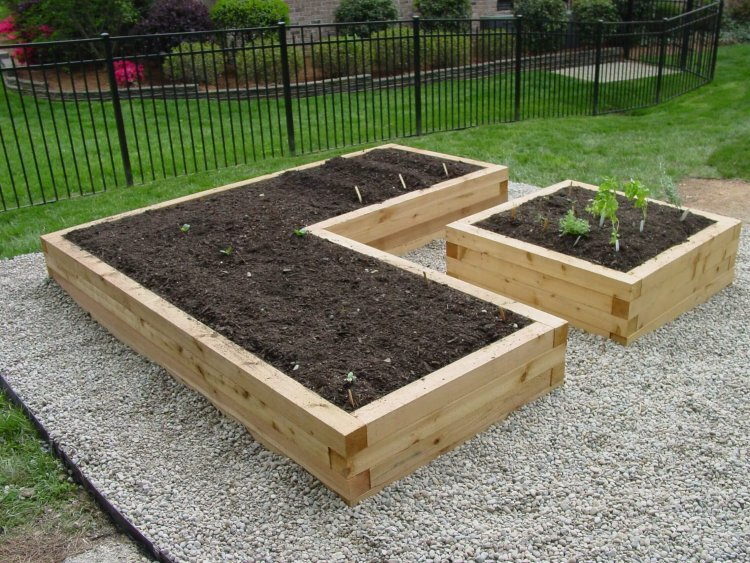 By creating flower beds, you take this a step further. A flower bed is a place in your garden made to plant a variety of flowers in it. One advantage you can get from going with this landscaping idea is that the size of the beds is entirely dependent on you. That means that they can fit whether you have a big or small front yard. Firstly, you have to plan your location, whether front yard or backyard or along the pathway or at the edge of a sidewalk. Then you have to consider if the area gets a lot of sunlight or if it’s shady depends on the kind of flowers you are going to plant. Some herbs require to be under the sun for 6-8 hrs daily. Some prefer partial or full shade. Lastly, check the soil which is very important in planting flowers. Mostly perennials or annuals require good soil to ensure proper growth. When you’re ready to plant flowers in your flower bed, make sure that you take out all the stones, deadwood, or garbage from the place. To improve the soil, add compost or fertilizer to achieve a flourishing plant or flower. A flower bed full of perennials that will last through the years would be an attraction to your garden. Since they are perennials, they will live year after year. Meaning, you won’t have to spend so much effort on replacing them annually. Some would consider river rocks to be aesthetically pleasing. If you have them around, try to make use of them as a border or a no dig landscaping idea to your flower bed. Arrange them nicely around the flower bed full of beautiful vibrant coloured flowers. You may line your flower beds from your pavement to your front or backyard with pleasing color groups. A flower bed that’s composed entirely of the same color, or a two-tone match, would make for a neat and lively display. Flowers in different bright colours, like tulips, planted in pots made of clay would also make your flower bed look more beautiful and attractive. You may want to decorate your trees by having a circle of flowers around it. This would surely attract by-passers. As far as raised flower bed ideas go, you may create a flower bed full of a variety of bright coloured flowers right at the centre of your garden. This will act as a centerpiece and will surely be an attraction to guests coming around for a visit. Flowers, just like all other plants, need water. This is especially true during dry spells and hot seasons. They will lose a lot of water and can wither eventually. Thus their growth will be stunted. So, watering regularly will be vital to those that need it daily. It is best to know the amount of water needed in your garden. And the quality of the soil that you have in your garden should be considered too. However, remember that too much water or lack thereof can cause damage to plants and soil. They have always been the biggest problem in every garden. They can kill the flowers quickly. The best thing to do when this happens is to use the right pesticides to kill damaging pests like aphids, bugs, and etc. You may also remove the infested plant away from the rest to prevent them from spreading. Take out the dead after they bloom to prevent forming seed production. Removing dead flowers will keep a neat appearance and will make them flourish again. Use a scissor in cutting the flower stems rather than just pulling them out by hand. We wouldn’t want to damage the healthy ones, right? You may know this already, but pull the weeds out as they are harmful to your plants. Most garden insect pests will make weeds as their place to stay. Weeds will also take out water and nutrients that your plants require. If you have a small garden, you can just pull them outright, while for a bigger garden you may need to procure some garden tools. You have to remember that garden soils lose its fertility over time. The plants will then also lose its nutrients. Try to check on your plants from time to time, and when you realize that this is happening, you need to put some fertilizers right away (depending on the time of plant, of course). There are many kinds of fertilizers on the market you can choose from that would suit your flower or plant. Soil selection is crucial in planting to improve the growth and production of your flower bed. Make sure to put fertilizers and organic matter on it and also check if the soil is moist. The water must enter deep down into the ground to ensure that there is enough moisture content for your greens. When you achieve all the above ideas and tips, you will surely have a magnificent and healthy garden. It is not easy to maintain a flower garden, but if you put your heart on it, it will all be worth it. There’s nothing more relaxing than having your morning cup of coffee from your terrace or patio enjoying the beautiful view of your vibrant flowering plants.